More than slapping a "for sale" sign in the front yard, we create a blueprint with a customized strategy to achieve your most desired outcome. That's why, from the beginning stages of research to closing the best deal, our dedicated agents are working for you every step of the way. 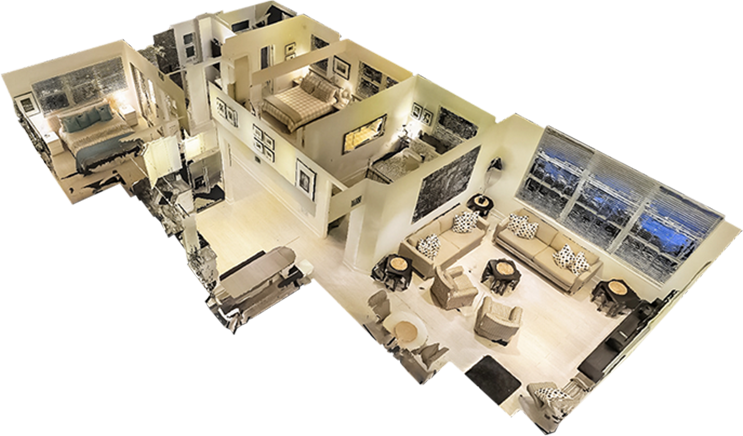 In doing so, we use innovative marketing tools like Matterport, which gives an online 3D tour of your home, to showcase your property to a broader audience. We prepare your home to highlight its ultimate selling points, and take advantage of our great reputation with the reliable network of other agents to bring you together with the right buyer. View a sample Matterport tour here. PRICING YOUR PROPERTY COMPETITIVELY WILL GENERATE THE MOST ACTIVITY FROM BROKERS AND POTENTIAL BUYERS. Interest is at its highest when a property is initially placed on the market. Pricing your property too high may make it necessary to drop the price below market value to compete with newer, well priced listings. PROPERLY FROM THE START, WHILE BUYER INTEREST IS HIGHEST. Timing is extremely important in the real estate market. The above graph illustrates the importance of placing your property on the market at a realistic price from the very beginning. A property attracts the most excitement and interest from the real estate community and potential buyers when it is first listed. Property sells year round. It is mostly a function of supply and demand, as well as other economic factors. The time of year you choose to sell can make a difference in the amount of time it takes and the final selling price. Generally the real estate market picks up in the early spring. During the summer, the market usually slows. However, these trends don't fully dictate or guarantee any particular advantage. The real way to maximize your selling experience is through great marketing and strategy.